bers of intrepid travelers are expected to head to Rwanda to see the ever-increasing mountain gorilla population living there. This is to help to increase the number of tourist who come for gorilla safaris in Rwanda. According to the latest census, some 480 gorillas now live in the national parks situated within Rwanda’s borders, an increase of 26 per cent when compared to the last count, which was carried out seven years ago. 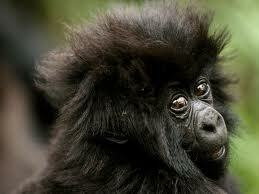 This increase is to improve on the gorilla expeditions with Rwanda. This means that Rwanda can boast more mountain gorillas than either of its neighbours, the DR Congo or Uganda, with tourism bosses confident that this will help push up visitor numbers and benefit the Rwandan economy as a whole. Speaking to the Business Times, Rwanda’s head of tourism and conservation Rica Rwigamba explained that the country will continue to focus on the benefits of eco-tourism. The Eco- tourism system is to increase on the conservation of Mountain Gorillas with in Rwanda. ‘Mountain gorillas are the anchor and unique product for Rwanda,’ she said, adding that both the animals and the people living on the edge of the Virunga National Park stand to benefit from the ongoing rise in visitor numbers. Earlier this month, Rwanda’s gorillas made headline news all over the world when a rare pair of twins was born to a family living within the national park. This new pair is to attract more tourists to come for gorilla visits to Rwanda.